Your day-by-day itinerary now includes Fisherman's Wharf, Powell and Market Cable Car Turnaround, Walking tours, and other attractions you added. And it doesn't end there: take in the views from Golden Gate Bridge, get outside with Seward Street Slides, take in the waterfront at The Embarcadero, and take a stroll through SoMa. 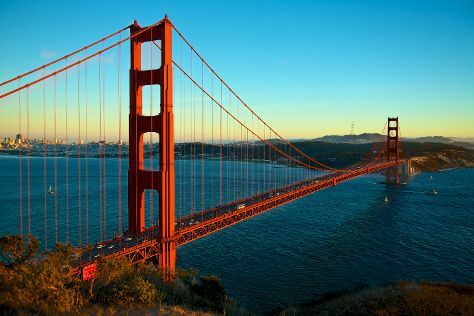 To see other places to visit, photos, ratings, and more tourist information, read our San Francisco planner . If you are flying in from Singapore, the closest major airports are San Francisco International Airport, Metropolitan Oakland International Airport and Norman Y. Mineta San Jose International Airport. In February in San Francisco, expect temperatures between 19°C during the day and 10°C at night. Finish your sightseeing early on the 1st (Fri) to allow enough time to travel back home.